How can teachers transform classroom teaching and learning by making pedagogy more socially and culturally responsive, more relevant to students’ lives, and more collaborative? How can they engage disaffected students in learning and at the same time promote deep understanding though high-quality teaching that goes beyond test preparation? 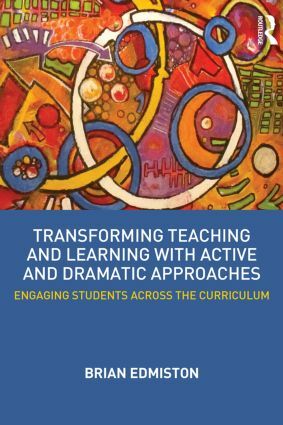 This text for prospective and practicing teachers introduces engaging, innovative pedagogy for putting active and dramatic approaches to learning and teaching into action. Written in an accessible, conversational, and refreshingly honest style by a teacher and professor with over 30 years' experience, it features real examples of preschool, elementary, middle, and high school teachers working in actual classrooms in diverse settings. Their tales explore not only how, but also why, they have changed the way they teach. Photographs and stories of their classroom practice, along with summarizing charts of principles and strategies, both illuminate the critical, cross-curricular, and inquiry-based conceptual framework Edmiston develops and provide rich examples and straightforward guidelines that can support readers as they experiment with using active and dramatic approaches to dialogue, inquiry, building community, planning for exploration, and authentic assessment in their own classrooms.